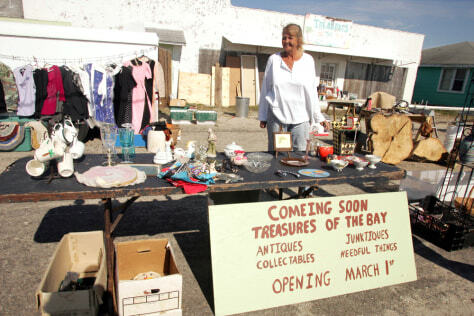 Marilyn Theus' roadside stand specializes in what she calls juntique items in Port St. Joe, Fla. The vendors are part of the local charm of Florida's Forgotten Coast. Developers are hoping that the building of the new airport in Panama City will allow more visitors and businesses into the area.